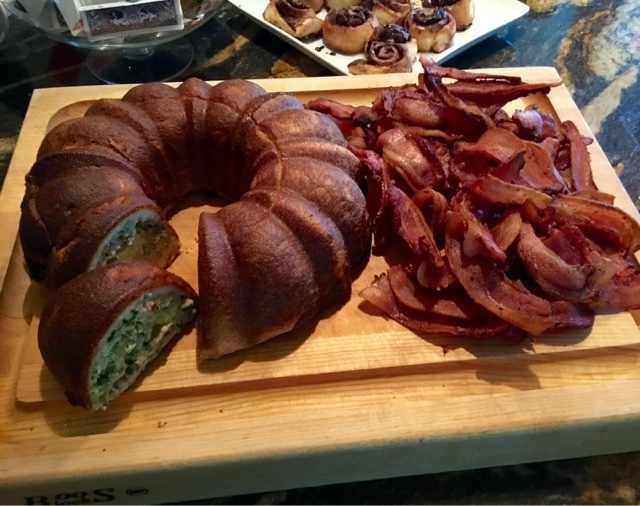 That's What Bob's Cooking: Savory Sausage Bundt "Cake"
Every year we are invited to a friends poker party. The party is a lot of fun, and we are able to catch up with old friends, meet some great new friends, but the funny part is neither Craig or I play poker. At the party, Craig helps maintain the buy in table, and keep track of who's in and who's out, while I tend to help keep the kitchen picked up. Since there's an occasional alcoholic beverage, we usually reserve a room and our “thanks” is to make breakfast (for those who have crashed or reserved a room. Some times people leave before breakfast, and miss out big time, just sayin!). In years past we've made fig scones, omelettes just to name a few. 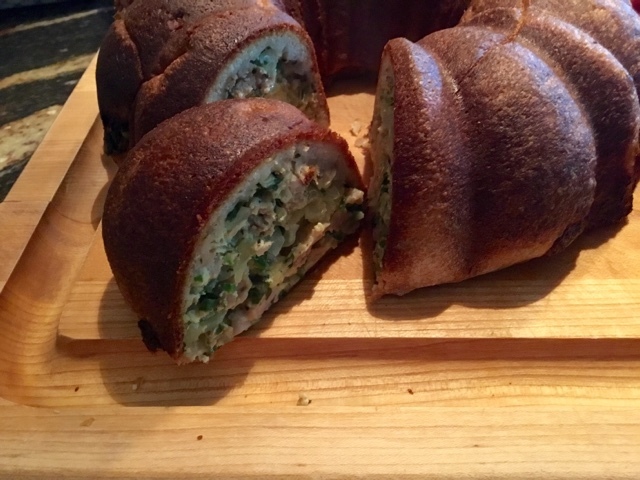 This year, I came across a recipe for a Savory Stuffed Bundt Cake, and was like, I just have to make this!! 2. Generously grease the bunds pan. 4. While the sausage is cooking, mix the cheese, jalapeño, onion, cheese and cilantro in a medium mixing bowl, add black pepper to taste. 5. 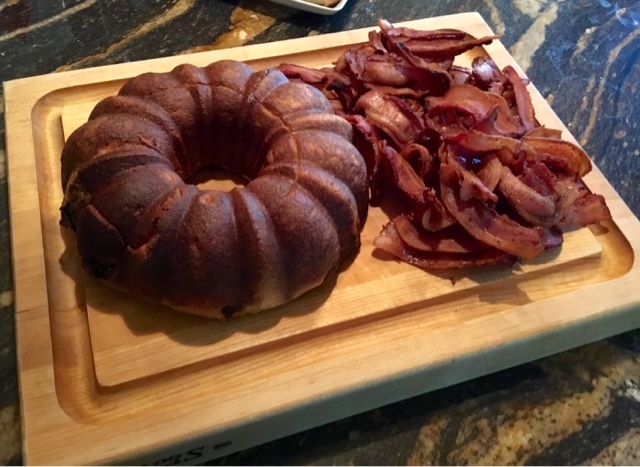 Roll out the dough and place in a greased bundt pan, placing the dough so that there is enough lip around the inner column and outer edge to fold together after adding the filling. If your bundt pan is larger, just do your best. You'll have to pinch together the ends anyway. 6. Once the sausage is cooked, add to the cheese, jalapeño, onion and cilantro mixture. Mix together and check seasoning, adjusting as needed. 7. Whisk the eggs and combine with the sausage mixture. Pour the sausage mixture into the bundt pan and distribute evenly. 8. Fold the outer and inner edges of the dough together and press to seal. 9. Bake the bundt cake for 40-45 minutes until the dough takes on a golden color. 10. Let the cake cool in the pan for 10 minutes before inverting onto a serving platter. Serve warm. •	chopped asparagus…..the list goes on. Think ahead….for this, I pre-browned the sausage and made the onion/cheese/sausage mixture the night before. I would highly recommend that you don't assemble the entire mixture ahead, as the dough would become soggy. I have never eat it But It is looking so yummy and I will try to make it in my home to follow your making procedure. Buy online top quality of commercial Dough Press Machine with long life warranty.